A fun game that can be played by various ages. A colourful new card game with clear images illustrating every single consonant and vowel grapheme, including consonant digraphs. Children turn over vowel cards from the vowel pile, and race to complete words using the cards in their hands, decoding out loud as they go. Alphabet and vowel star cards speed up the game. 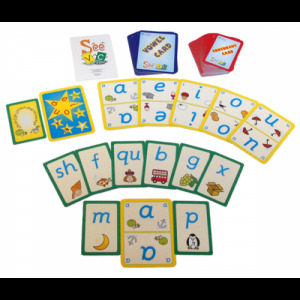 Teaches letter recognition, vowel and consonant differentiation, final double consonants, “h” digraphs, and encoding and decoding skills. 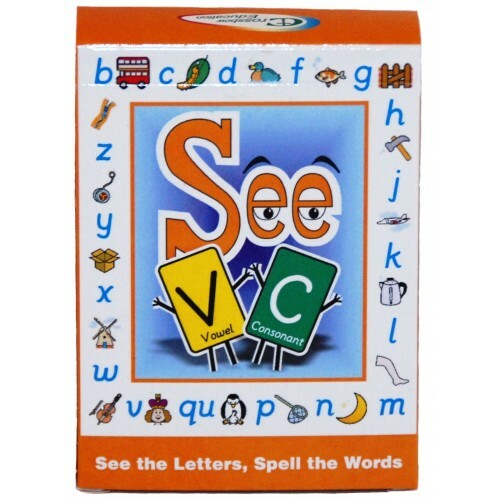 Can be used at various levels, from the basic cvc/cvcc game using just three cards, to multi-syllabic and vowel digraphs words. 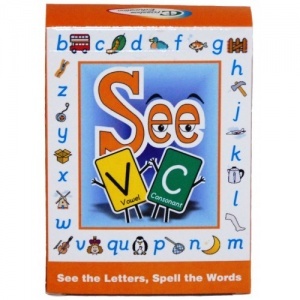 Pack includes 56 consonant cards and 16 vowel cards.